We invite businesses and individuals to sponsor our performances. Your ads will appear in our programs. Please consider joining Friends of Da Camera to support our performances. We will acknowledge your gift in our program and will send you a copy of our latest CD. Click here to download and fill out our Friends membership form. 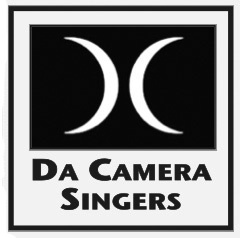 Da Camera Singers is a 501(c)(3) non-profit corporation registered with the Commonwealth of Massachusetts. Your contribution to Da Camera Singers is tax deductible to the extent permitted by law.